In Sabrinas we have been following for years the tradition of manufacturing high quality footwear. That is why we select the best materials and we make designer footwear following the latest trends. In addition, our shoes are made in Spain. Sabrinas wedge ballerinas are comfortable and elegant. They are designed with you in mind: in the style of women today. A busy and hard-working woman, who cares about her image and dresses in fashion. She is demanding and seeks the best, that is why our wedges are of high quality. In addition, they are so light and comfortable that you can use them in your day to day and your feet will not suffer. The lines of our designs follow the latest trends. On our website we offer a wide variety of high quality wedge dancers. 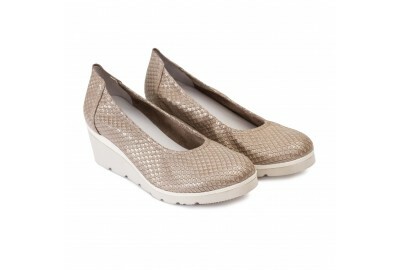 You can buy ballerinas with wedge online on our website, your new shoes will arrive in just 48 hours: Shipping is free!